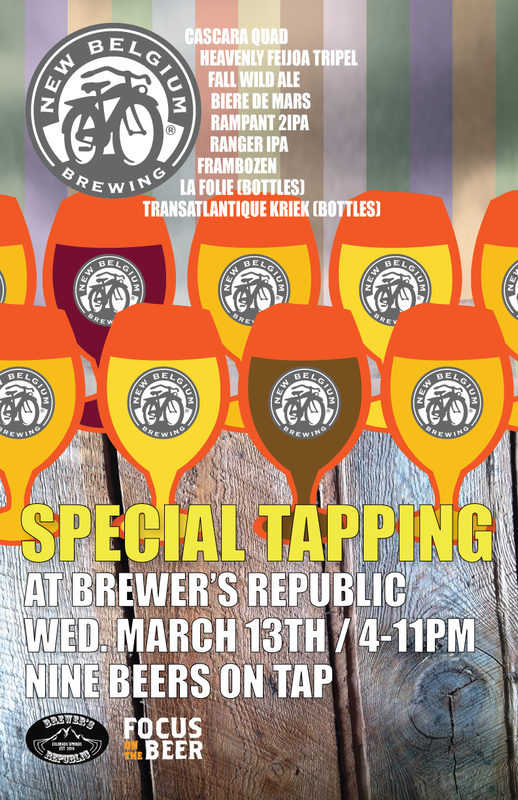 Brewer’s Republic, New Belgium, and Focus on the Beer team up to bring you a wonderful night of beer bliss. The event will feature seven of New Belgium’s beers on tap, four of which are from their Lips of Faith Series, two IPA’s, and a keg of Frambozen that’s been saved off since the holidays. In bottles we’ll see the infamous sour La Folie and Transatlantique Kriek. That’s nine New Belgium beers total! The event is on March 13th and the night will prove to be a ton of fun, so we’ll see you there! ***Hoppy Bock: The first beer in the Hop Kitchen series, this is an easy drinking beer with some fun hop character to it!